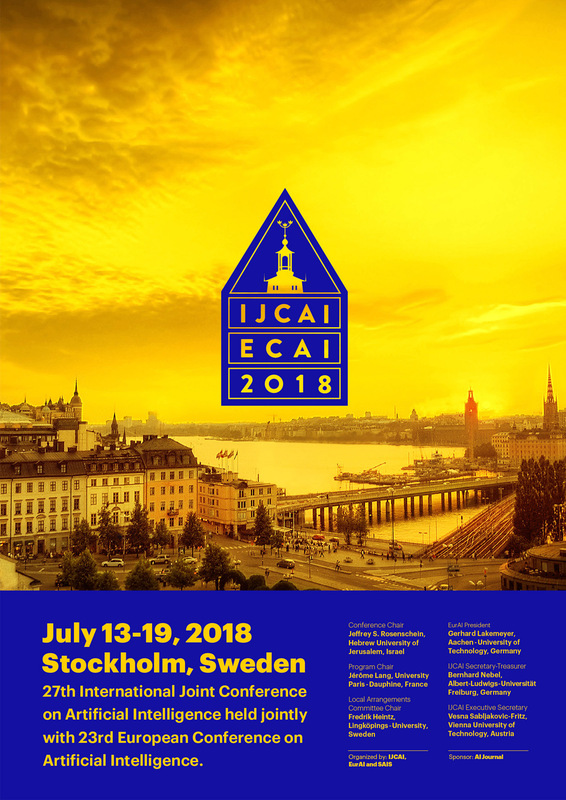 The Swedish AI Society is proud to be the host of the first ever joint IJCAI-ECAI which will be held in Stockholm July 13-19 2018. IJCAI-ECAI-18 is also part of the Federated AI Meeting which includes AAMAS, ICML, ICCBR, IJCAI-ECAI and SoCS. 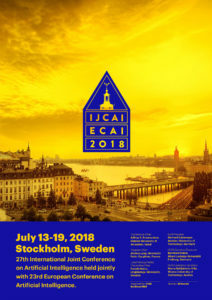 For more information see the IJCAI-ECAI-18 page. This entry was posted in Artificial Intelligence, conference, Europe, sais, Sweden, the world, Uncategorized. Bookmark the permalink.